Porcelain and ceramic tiles – what is the difference? You might be in the process of remodeling your kitchen or bathroom and are stuck deciding what tiles to go for. After all, the possibilities regarding color, surface, and hardness are endless. If you are having trouble with the type of material your new tiles should be made of, let’s narrow your choices down to two most popular ones: porcelain and ceramic. There seems to be a misconception among customers regarding the difference between the two. Some even claim that there is none! One huge difference is visible with the naked eye as most ceramic tiles are cheaper than porcelain even by 30%. The explanation is simple – porcelain is and will always be more expensive to manufacture. 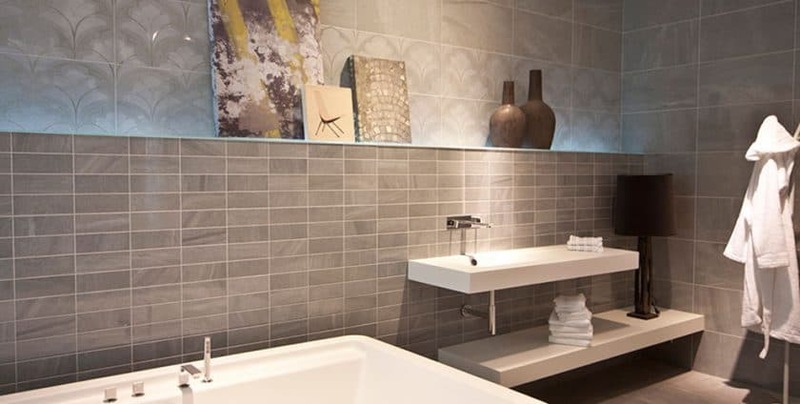 Both porcelain and ceramic tiles are a part of a larger category of tiles which is generally called ceramic, based on materials used during manufacturing. They are both made of clay, among other natural materials, which is fired in a kiln. However, porcelain’s clay is more refined and fired at higher temperature and pressure. This makes the tiles tough and unlikely to crack, making it a long-wearing material. This allows manufacturers to create tiles of different shapes and sizes, including mosaics comprising of small 1×1 inch pieces. Its low absorption rate indicates it is a perfect solution for the bathroom and outdoors. However, there are some key factors that stand for ceramic tiles. They are usually much more affordable and are easier to cut. Therefore, if you want to limit your budget on tiles, you can go for ceramic. If you’re feeling brave, you may even try to install them yourself. However, it is advisable to contact your local trusted tile contractors before making any decisions regarding tile installation. STUDIO47 – the tile shop for all Chicago’s flooring contractors. The tile warehouse with highest quality tiles, hardwood flooring, carpets and cabinets. We are a top class tile contractor’s supply in Chicago, IL.